NORTHFIELD, Ill. (WLS) -- A vehicle was shot at on the Edens Expressway in Northfield in a suspected road rage incident Saturday morning, Illinois State Police said. 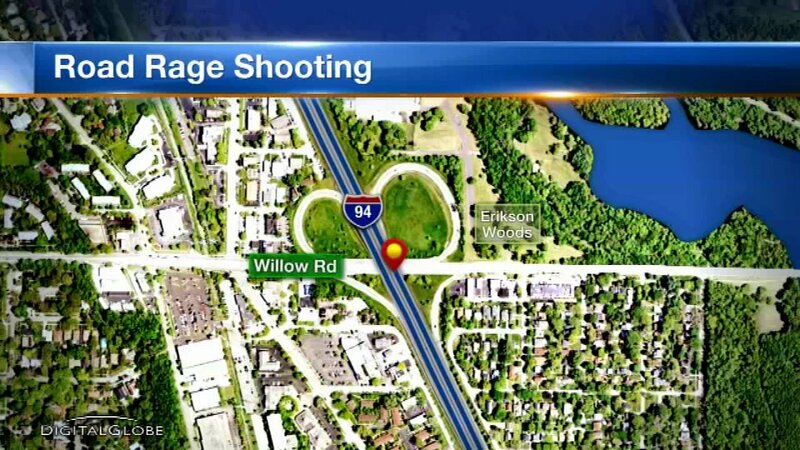 The shooting occurred on I-94 at Willow Road at about 12:25 a.m., police said. Police said a blue Nissan Altima with tinted windows pulled alongside the victim's vehicle and someone inside fired a single shot into the front passenger side door. Police said four Hispanic male suspects were inside the Nissan and the shooting stemmed from a road rage incident. No injuries were reported. Anyone with information is asked to contact Illinois State Police at 847-294-4400.